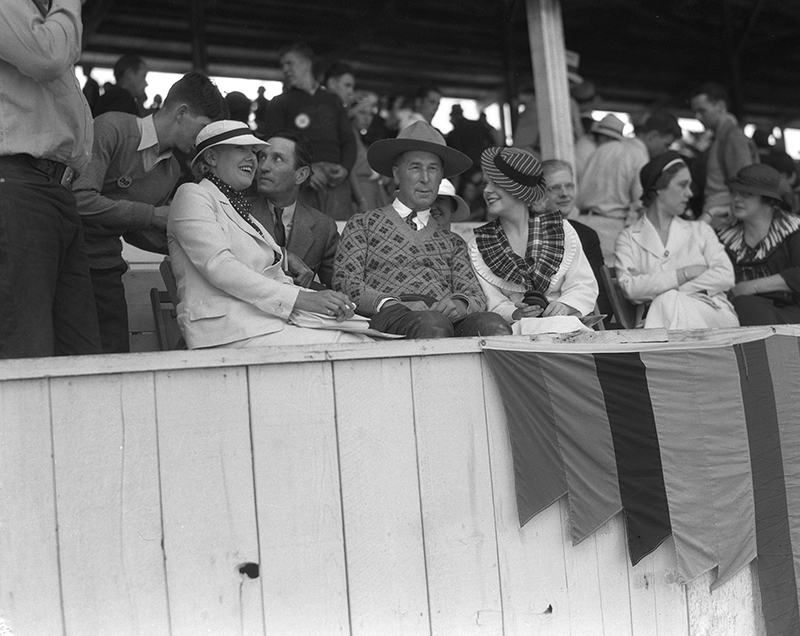 SCVHistory.com LW3085 | William S. Hart at the Races? Watson Photo 1920s-1930s. Note for future rewrite: The woman at right is Alice Faye. It is 1934. Information from a published newspaper caption, different view. Research: Alice Faye &plus; New York nightclubs. William S. Hart. That's really all we know. No written information accompanies this 4x5-inch negative, so we don't know the date, the location or the people he's with. 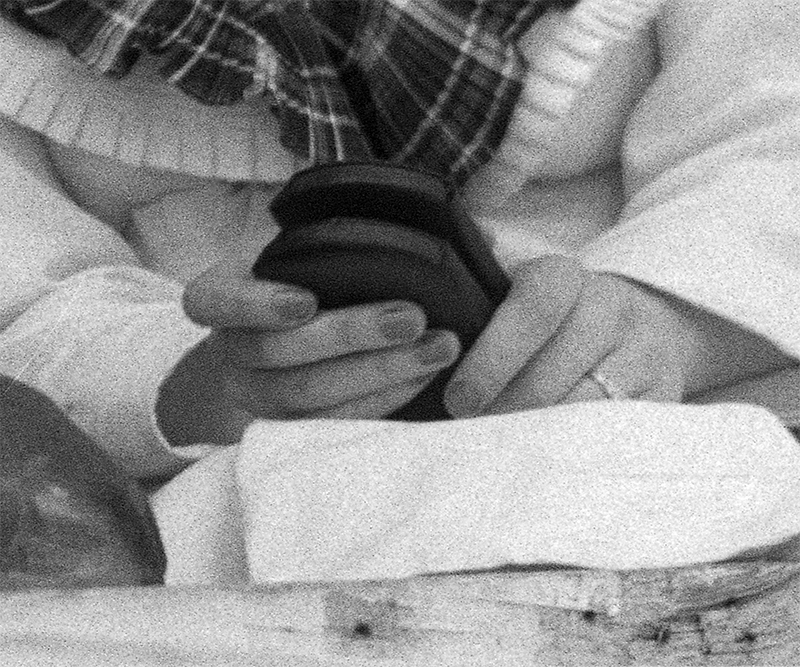 The married woman sitting next to him appears to be holding the world's first flip cell phone (see inset). Or maybe they're defibrillator paddles, so she can restart the old cowboy's fluttering heart. This might be a day at the racetrack. The young man leaning over at left could be taking a wager from the man who is looking up at him. All of that is conjecture (with a bit of whimsy). What we know for sure is that this original 4x5-inch negative comes from the Watson Archive. It was probably shot by George Watson, who also photographed Hart with the Dakota Sioux Chief Luther Standing Bear in 1926 and then at home alone in 1946. If you can identify anything or anyone in this photograph, please tell us. LW3085: 9600 dpi jpeg from original 4x5-inch negative purchased 2017 by Leon Worden from the Watson Archive.